I have been spending most of my time outdoors these past few weeks getting the yard in shape. I have mulched, planted the vegetable garden, and have been busy with the beehives. The chicken coop got an inspection and will need some reinforcements of the latches and some dabs of paint here are there. But this past week, most of my time was occupied with building a small garden fence to keep the bunnies out of the raised garden beds. 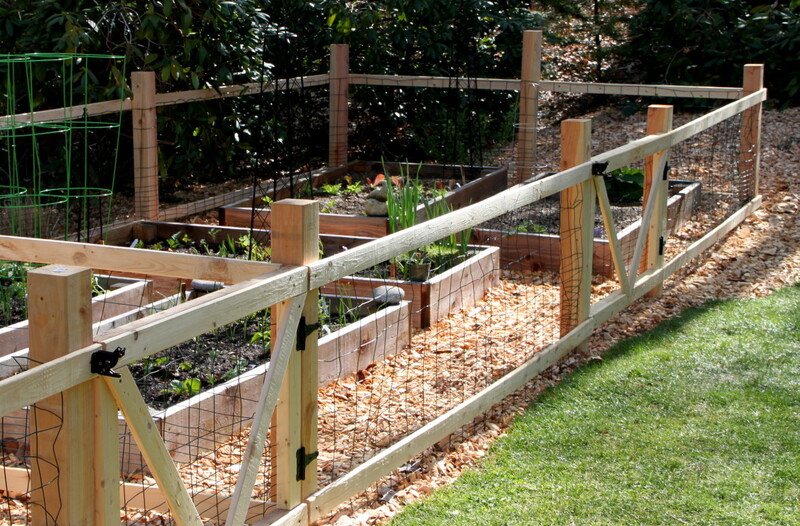 I also wanted to add a small extension of the fence to keep the puppy away from the beehives. As of today, the only final touches left to put on the garden fence include trimming down the fence posts and adding the decorative caps.